I am super addicted to buying planners this time of year. Like super-addicted. I love them and I use them and they make me money. So why wouldn't I love them, right? This gets a big recommendation from me. The whole system is broken down into weekly, monthly and annual planning and I recommend you work through it with your business coach. 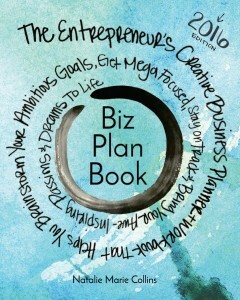 -> Check out the uber-popular Business & Life planners here. I'm hearing really good things about this planner. Personally I haven't ordered it yet (but I will be), so I can't tell you too much about it, but I do know Natalie well and she's awesome-sauce, so I expect this is, too. 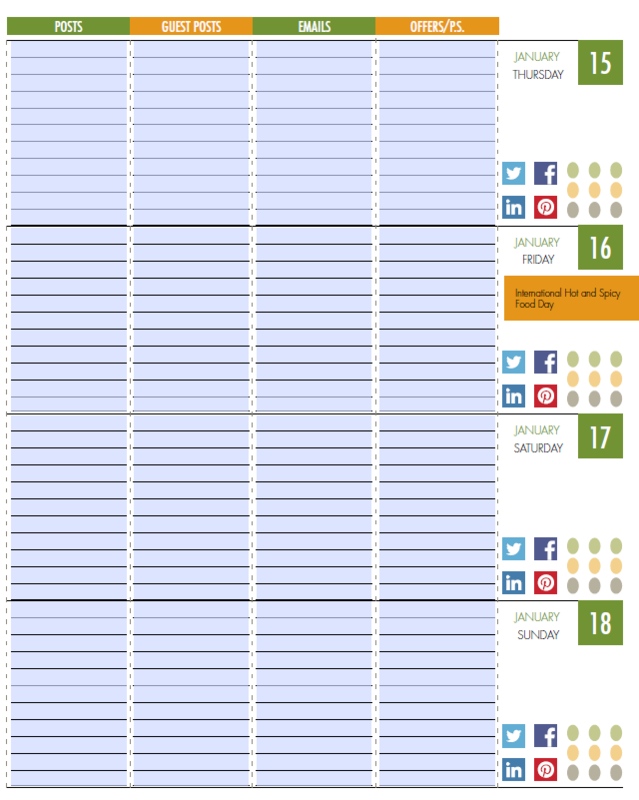 Awesome FREE Blog Planner with Calendar. Here’s a sample page that I took a screenshot of so you can how nice it is. This page shows how to use this year’s blog calendar. And, here’s a sample page from this year showing what the printable planning calendar part looks like. 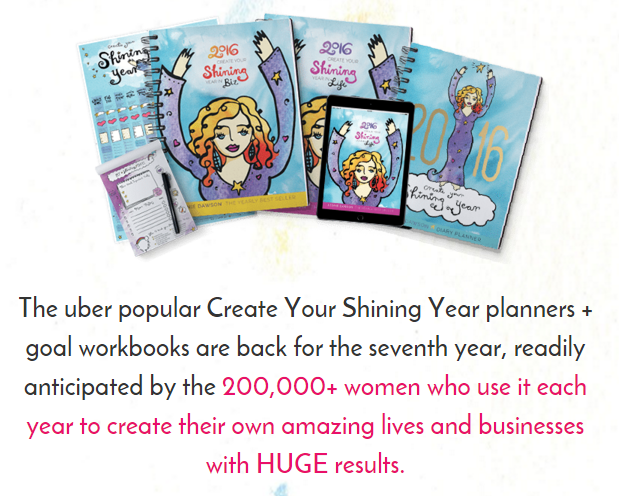 Your Very Own Planner that YOU Can Sell? Yep. 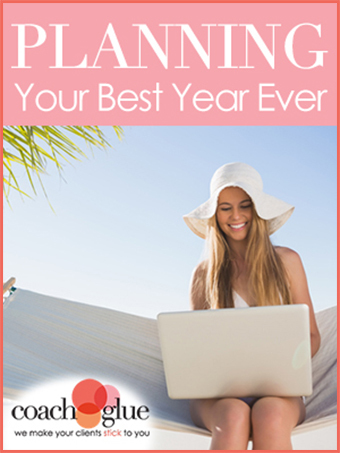 “Planning your Best Year Ever”. If you want to have your OWN planner that you can create a coaching program around and sell, we've got that covered for you at CoachGlue.com. You get the planner in .doc format right away and then you can dig in, add to it, and turn it into a planner that you use when working with clients, create a coaching program around it, and/or sell it from your own website. Infuse some YOU into it. Your stories. Your examples. Voila! 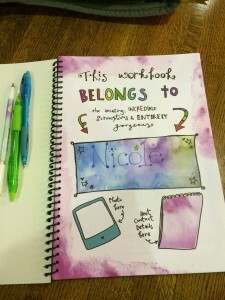 You have a totally unique planner that you can use to grow your business. 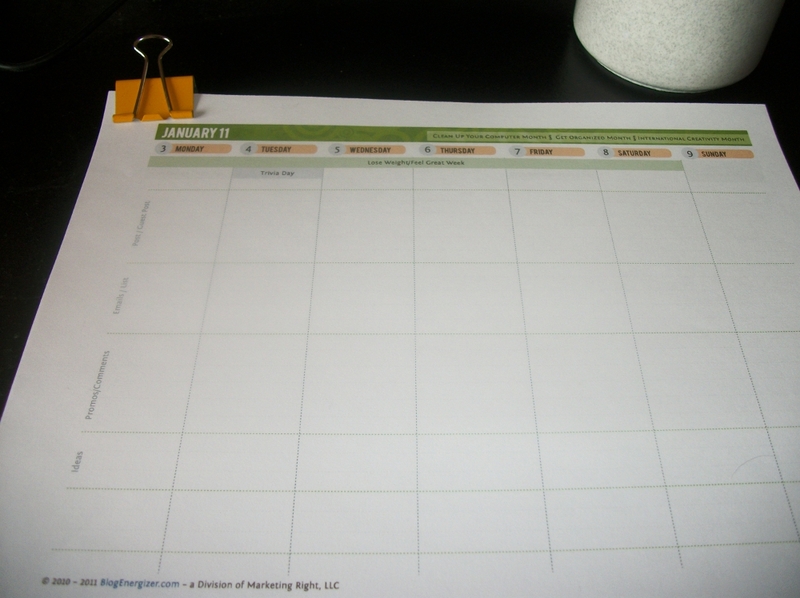 -> Grab this “Done for Your Business” planner. But what other planners do YOU love? Do tell. I'm excited to hear about them. PS. If you want to grow your list, be sure to watch this free webinar about using LeadPages effectively. « Little Membership Sites: Those Recurring Payments Add Up. I used to use a Franklin Planner but have been relying on my iCal for the past two years. I’m ready to get back to a print planner so I can dream on paper! I’m eager to get it and try it out! Cool! I’ve heard of the passion planner, but hadn’t tried it yet. I’ll go check it out. 🙂 Thanks for stopping by! i was like not planning anything and doing whatever at that time felt was necessary for something but after reading your post i think i must plan before doing anything. Great one! Found this post on JustRetweet.com and glad that I did! Already printed out a few pages and will go through it, thanks for that! I always rely on the paper to jot down the ideas/planning. Again, thanks for that! Will share it on my social life. Nice post. I think every blogger must plan their work to get massive success. 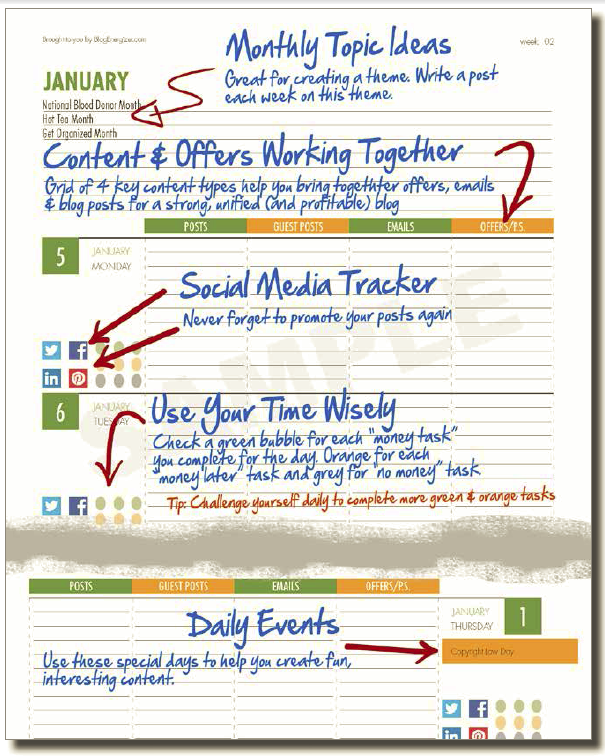 This is a highly valuable write-up, I love the free blog planner with calendar, its simply awesome, I have just gotten mine, I wish I had seen it at the beginning of the year, anyway it’s never too late to start planning. Thanks for sharing this.